Three years ago, the Tea Party movement was savagely attacked by the Internal Revenue Service in an attempt to bully us into submission and silence. Thousands of innocent grassroots conservatives like you and me found themselves on the receiving end of audits, threats, and onerous interrogations. Years later, the IRS is still stonewalling. The IRS commissioner, John Koskinen, is defending the likes of Lois Lerner and her henchmen. Thankfully, the Republican members of Congress are finally doing something about it. They have proposed a bill to impeach John Koskinen. We must back them up and ensure Koskinen is removed from office! Please take a moment right now to sign Tea Party Patriots' National Petition to Remove John Koskinen from office, and urge all of your friends and family members to do the same. Please click here to tell Congress that they must impeach John Koskinen from office. Trevor Loudon was in town, recently. The famed commie-hunter from New Zealand said his upcoming documentary 'The Enemies Within' is about two-third's funded. The film, a follow-up to Trevor's book of the same title "expos[es] the communists, socialists and progressives within the U.S. Congress." There are also investment opportunities available. Contact mail@alexandriateaparty.com with 'Trevor Film' in the subject line. A member of ATP's executive committee has invested. Really good articles on a variety of topics. Email daily digest free of charge. Farming in Fear premiered at the prestigious Anthem Film Festival on July 11 in Las Vegas, where it captured two awards: Best Short Documentary and Audience Choice. Farming in Fear tells the story of Martha Boneta, a young, idealistic woman who fulfills her childhood dream of buying and operating a small organic farm; but actions by a web of connected groups and individuals threaten to put her out of business. Farming in Fear examines the nearly 10-year ordeal a local Virginia farmer fought in order to earn a living operating her small farm. Despite obstacles created by local government and personal attacks, Martha Boneta never gave up on her dream. The 28-minute documentary takes viewers through her battle, from the treatment she received from local officials to the introduction of the "Boneta Bill" - protection for small farmers ensuring that they will never experience what Martha did. Loren got rave reviews at the seminar he gave us last year. Join us for a dinner program at the Harvest Moon in Falls Church. Congratulations to ATP member Anna Urman on her recent campaign for state delegate from 43rd district. Anna is one of a number of Tea Partiers around the country who have run for office. While not successful this time, Anna set a wonderful example for all of us to get more involved in our government. Republics cannot work without civic engagement; they were never meant to. Anna is already back in the fight, and we look forward to her future accomplishments. We have momentum; pedal to the metal! Matt Bevin wins Kentucky governor's race. Tea Party Patriots Citizens Fund endorsed Matt Bevin in the primary and in the general elections this year. identifies with the Tea Party. It's the National Debt, Stupid! Big Business sees gold in the pockets of Chesterfield citizens - Notice "no mention of cost or impact" - YOU will pay for "BikeWays"
Parents & counties lose more control - Feds chose Chesterfield Schools for "#GoOpen campaign" - electronic federal text books. Houston Voted down "bathroom ordinance" allowing transgender individuals to use the bathroom of their choice. Randy Forbes: A crackdown on bake sales? 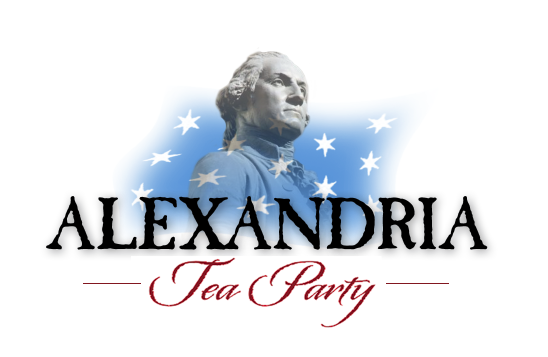 2015 Fall Conference and Summit Meeting - Virginia Tea Party Patriots Federation, Inc.